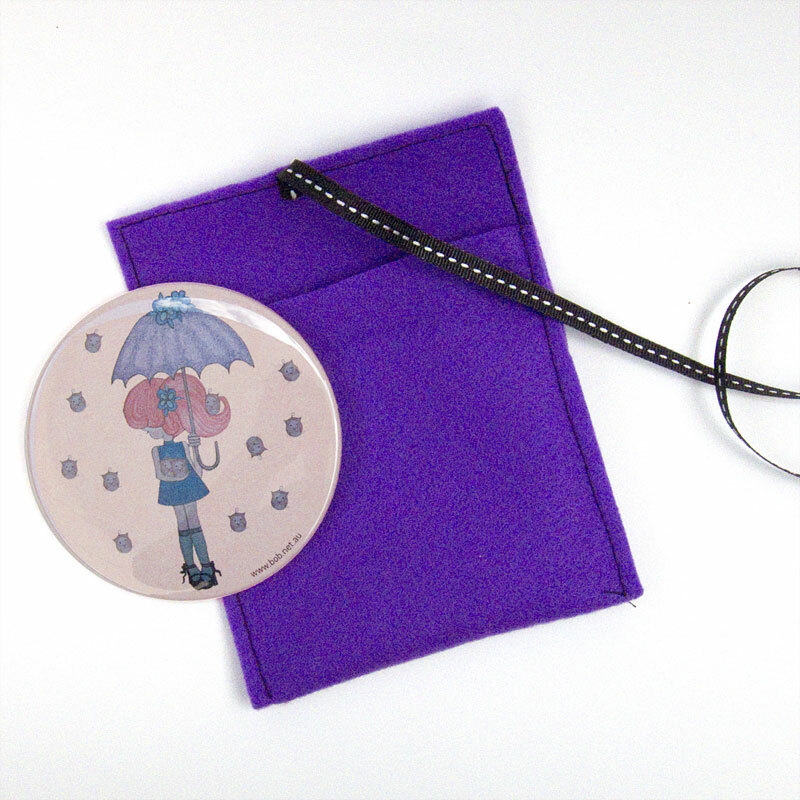 This round pocket mirror is approx. 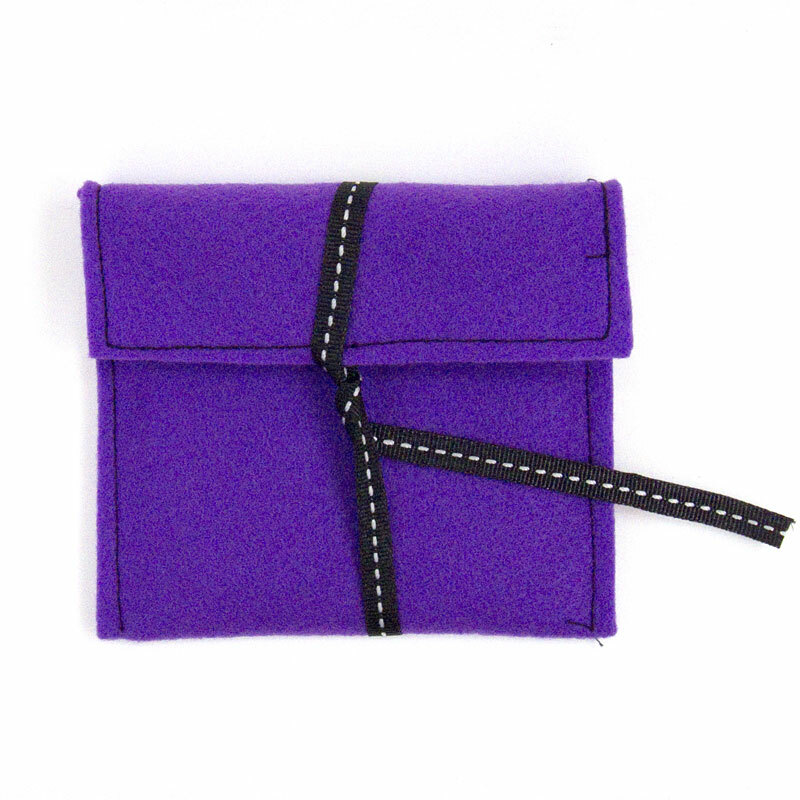 8.5cm in diameter and comes in a purple felt pouch with black ribbon. 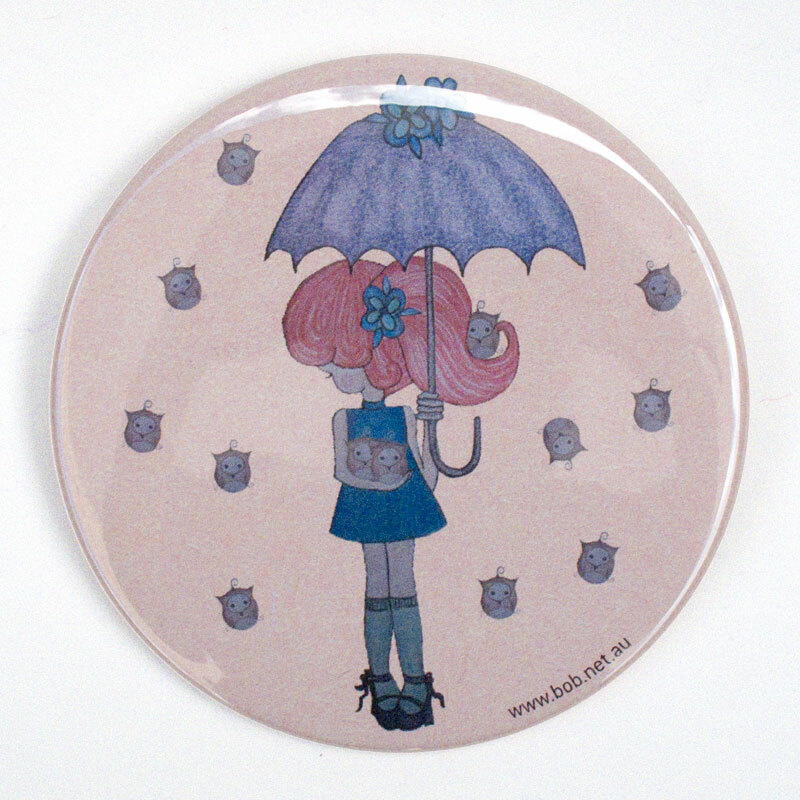 It features Sonia's illustration of a sweet girl sheltering under an umbrella in a shower of owls!